I’m fairly sure I’ve never been ten-pin bowling. I’m even more sure that Dave Shaddix has. 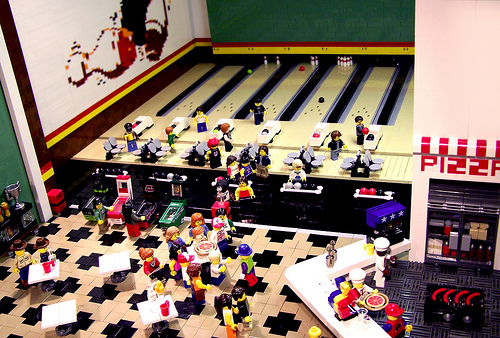 From the mosaic on the wall, to the hotdogs on the grill, this diorama has everything I imagine a bowling alley should have. And more. Such a great diaorama! Why can’t I get ideas like this? Why is this post titled ‘Bolling’? ^ Sillyness really. I rhymed it with Dave’s title.